You’ll learn everything you need to know in this Diamondback Clutch 2 Review. Regardless of where you ride, if you’re on the trail for most of your free time, you’re no doubt looking for a do-it-all bike that can handle every obstacle. The dilemma comes with choosing the right bike that won’t disappoint when it comes to comfort, performance, and durability. For women who want a bike that presents unique features not found in unisex or men’s trail bikes, the Diamondback Clutch 2 is worth a look. Thankfully, women’s bikes have come a long way from the pink and purple embellished models of yesteryear. From hefty suspension specs to 11-speed shifting capabilities, the Clutch 2’s design boasts efficiency and progressive technology without bowing to society’s desire for every women’s product to ooze flowers and butterflies. This is a tough bike for a tough audience, and so far it seems the Clutch 2 hits the mark. Long and low, this bike might suit your needs if you take the trails hard and fast and don’t have time for equipment failures. This Diamondback Clutch 2 review will cover everything you need to know about this full suspension mountain bike. If you’re in a hurry and just want to see the best price for the DB Clutch 2, we got you covered! Click here to see the best price for the Diamondback Clutch 2. 1.2 What Is The Diamondback Clutch 2? If you’re familiar with hardtail bikes and aren’t sure why you should consider switching, here’s what you need to know. Full suspension bikes take the shock absorption from your body to the bike’s frame. 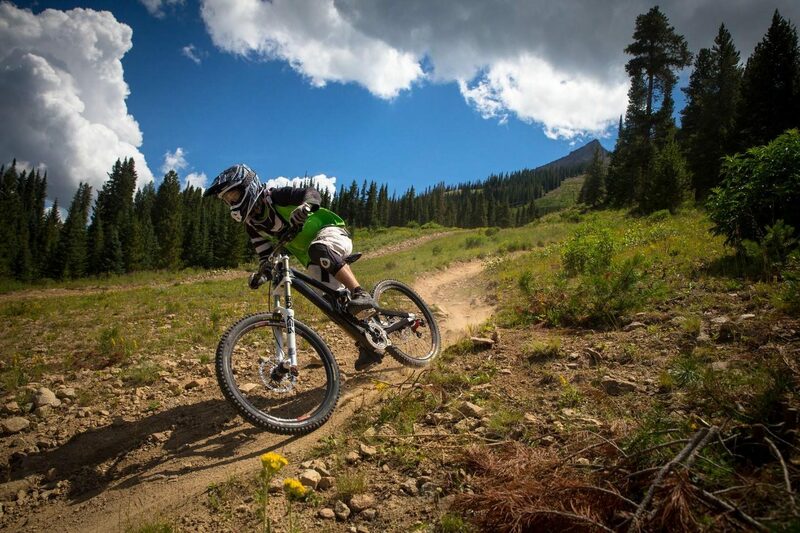 In a hardtail design, your body functions as a shock absorber. While this isn’t terrible for many trail situations, with rough terrain, you’re in for a workout and possibly some pain. Conversely, full suspension mountain bikes direct force away from your body and absorb it into the frame. Women who struggle with finding the right fit in unisex or men’s bikes might benefit from testing out the specs on the Diamondback Clutch 2. Riders who traverse varying terrain will appreciate the adaptability of this bike. Women’s bikes also feature lighter frames and narrower profiles, plus a lower center of gravity based on women’s torso and leg length. Because this design conforms to physiological traits of women, men should probably opt for another model that’s beefier. Riders who are inexperienced may rethink investing in a bike at this price point since a lower-priced model can accommodate beginning riders through intermediate ability levels. What Is The Diamondback Clutch 2? This bike is a follow-up to the Diamondback Release. Improvements over the first version are a focus on the needs of women when it comes to physical adaptations. Also, the Release seems to have a reputation for lagging a bit on uphill terrain, but for non-competitive riders, this isn’t a huge drawback. However, Diamondback’s Clutch 2 boasts a competitive edge and pedaling efficiency. 150mm of travel means that it’s exceptionally responsive to the features of the trail. Stock performance tires hug the trail, letting you get ripping right out of the box. In the box, you’ll find an extra derailleur hanger, a Diamondback mudguard, plus a shock pump and tubeless valves, as well as tools and spare pieces. But don’t be put off by the inclusion of extra tools and parts- this bike’s engineering aims for less maintenance than other trail bikes. In that same vein, tubeless tires give you an edge on the trail that can cut down on repair time and increase your downtime off-trail. 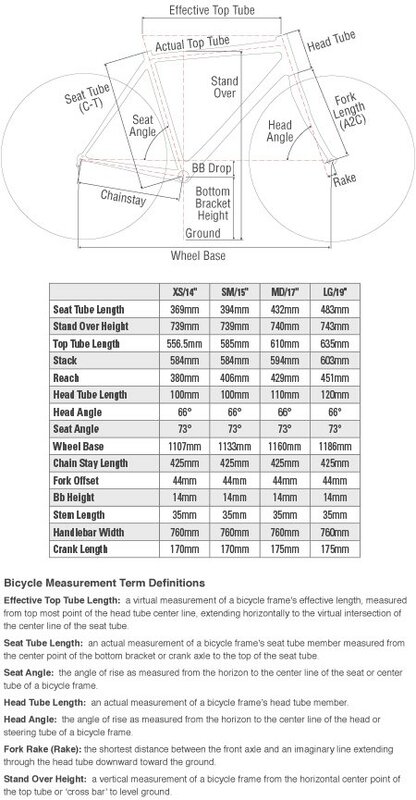 Plus tubeless tires are lightweight, keeping the bike’s edge when it comes to weight. Finally, A SRAM GX drivetrain helps increase ground clearance and offer a lighter profile than previous models. With its combined components sliding in under the radar, this bike is a serious contender for the featherweight category. By the numbers, the Diamondback Clutch 2 has some serious edge. This bike is ideal for women who are looking for a responsive ride without sacrificing comfort. The Clutch 2’s design revolves around a low center of gravity and adjustable seat that let those riders with small stature to customize their fit. Competitive riders will see this bike as a decently priced model that can handle the abuse of the trail day in and day out. Its durability and maneuverability let you take it anywhere and ride hard. Stock options like the knobby tires and Integra dropper seat post add a performance edge. Diamondback’s unique and performance-based approach to a women’s full suspension mountain bike cuts the frills and energizes your trail ride. Its trim appearance doesn’t hint at its performance potential, but one ride and you’ll see how the specs serve each ride. Cushy suspension and an updated drivetrain get you moving and let you stay on track while absorbing shock. If you’re used to a hardtail, this model will be a welcome change. If that’s not enough to make you curious about this bike, here are the main features and benefits of the Diamondback Clutch 2. A RockShox Monarch RT3 Debonair Shock measures 130mm and activates the link level suspension. A RockShox Pike RC fork with 150mm of travel gives you the smooth ride you crave. All the perks of full suspension make this bike reactive and adaptive. If you’re coming off a hardtail for your mountain biking experience, this cushy feel will be a welcome change of scenery. Uphill or downhill, you’re sure to overcome any obstacle without straining to keep control of your ride. An X-Horizon rear derailleur rounds out the latest drivetrain technology. The single ring Race Face crankset has high ground clearance and is lightweight compared to other options. Its gear range lets you tackle any obstacle on the trail. All the suspension in existence won’t help if your bike isn’t equipped to get moving, and the 1×11 drivetrain satisfies that need. There’s a gear for every situation whether you’re traversing uphill challenges or coasting down. The best way to quantify the Clutch 2’s suspension is by stating the amount of travel, and it’s impressive. This much shock absorption serves to smooth out your ride and manage rebound. The Diamondback Clutch 2 is different from other women’s full suspension models on the market. With improvements over the previous Clutch 1, this high-tech approach to women’s cycling fits the bill for many mountain bikers. Here’s what makes it unique. An aluminum frame gets a lightweight upgrade with Diamondback’s hydroformed tube frame. This cuts down on weight and bulk but maintains the strength and durability of the bike. Aluminum is already lighter than many other bike frame materials, but this unique approach delivers a lighter bike with the same look Diamondback is known for. For a women’s bike, the lighter, the better, particularly for riders with a small build or reach. Plus, what good is a competitively built bike when you can’t handle it on your own after a ride? Keeping the weight down makes maneuvering your bike easier whether you’re on it or trying to lift it. Its design aims at accommodating the female form, but it doesn’t scream “girly” either. The seat has clean graphics and high-performance padding that keep riders comfortable. Gel inserts add to the comfort, and the short nose allows for easy on-off transitions. Women aren’t the only riders who appreciate the design of the DEVA, but its inclusion in the Diamondback Clutch 2 only adds to the bike’s appeal across the competitive mountain bike market. It might take hours and an in-depth guide to assemble most bikes, but Diamondback’s Clutch 2 utilizes Ready Ride tech. This means the bike arrives almost entirely assembled, with only four remaining steps for its new owner to complete. That means you can spend more time honing your riding skills and enjoying the trails instead of poring over user guides and complex hardware setups. An MSRP of $4000 makes Diamondback’s Clutch 2 full suspension mountain bike a contender against similarly outfitted models. With its high-tech design and lightweight form, the value in this bike is apparent. Not sure if the Diamondback Clutch 2 is the right bike for you? I’ve sourced three alternatives with competitive specs. Diamondback Release 1: At an MSRP at $2500, Diamondback’s Release 1 offers a significant cost savings from the Clutch 2, but at a slight disadvantage over the newer model. Stock Kenda Nevegal tires might not meet the needs of serious riders, but for a stock option, they’ll get you riding right out of the box. 130mm of travel doesn’t quite match up to the Clutch 2, but it’s enough to rank this bike highly for its cost. A full aluminum frame adds some weight, but keeps the profile low enough for optimal maneuverability. Also, the Release 1 is a unisex bike without the additional perks specific for women. Click or tap here to learn more about the Diamondback Release 1. Diamondback Release 3: The Release 3 is another unisex bike with an aluminum frame, but this one features hydroformed tubing in the same style as the Clutch 2. Level Link suspension gives a smooth ride with 130mm of travel. A Race Face Turbine crankset ups the shifting efficiency and a KS Lev Integra dropping seat post offers custom sizing adjustments. Performance Schwalbe Hans Dampf tires grab the trail and don’t let go. Hydraulic disc brakes complete the package, and all at a price point around $4400 MSRP. Click or tap here to learn more about the Diamondback Release 3. Fuji Addy 1.3: For an inexpensive alternative to a full suspension mountain bike, the Fuji Addy 1.3 features 27.5” tires with agility and performance in mind. 80mm of front suspension can’t compete with the Clutch 2, but for a hardtail bike, this aluminum frame bike doesn’t disappoint. At Under $800, the Addy 1.3 has a Shimano 3×9 Alivio drivetrain with Rapid Fire shifters and rolls on solid Vera Terra wheels and Vera Eos tires. While it doesn’t match up with the agility or suspension package of the Clutch 2, for the price, the Addy 1.3 is a worthy alternative. Click or tap here to learn more about the Fuji Addy 1.3. 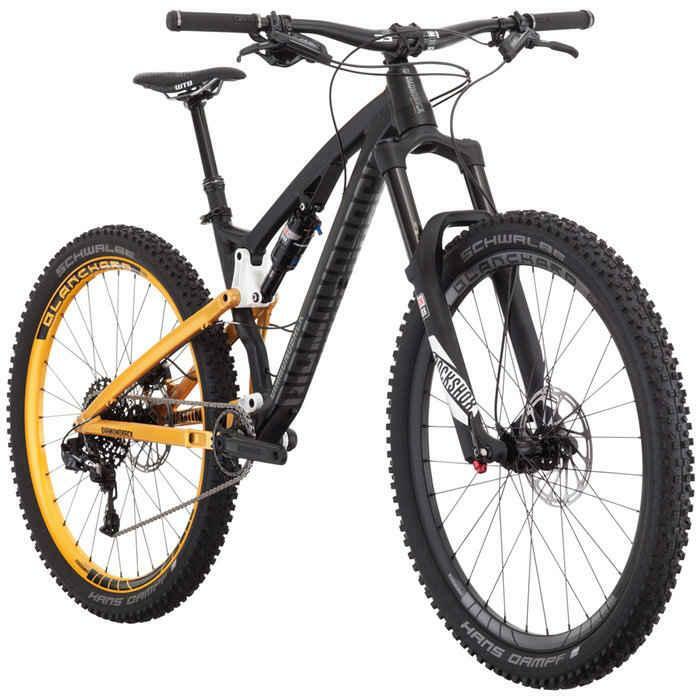 A hefty suspension package and an impressive amount of travel make the Diamond Clutch 2 top the list for full suspension mountain bikes at this price point. Getting the bike moving is no large task, either, with its efficiency and high-tech drivetrain. If you’re weary of diverging from the traditional mountain bikes that are unisex models, the features of this bike are enough to impress even skeptics who don’t see the value in a women’s version of trail rider. Between the lower profile frame and the adaptive seat, this bike is comfortable and accommodating for female riders. For all-terrain riders who take their cycling seriously, an adequate suspension package is vital, but it’s more than the stats that make the bike. The Clutch 2 has the total package when it comes to a combination of suspension and shifting power, plus its overall weight stays low thanks to Diamondback’s careful choice of materials and components. If you’re in the market for a high-end mountain bike, hopefully this Diamond Clutch 2 review has whet your appetite to take it for a spin.